This is the story of how we reduced the cost of one of our informational ebooks and ended up selling absolutely the same amount. Promotional pricing often matters and you have to try new things but here is how this one bombed. About 5 years ago a good friend and I were at a local casino here in Miami. It was actually a dog track that had recently received approval to offer gambling. They like to call them “parimutuels,” as it sounds less ikky. We were fooling around at the slot machines after losing in a charity poker event. We went up to one of the guys who appeared to be in charge of the slots area. We tried to extract some secret information from him. We were looking for the lucky slot machine. He wasn’t in the sharing mood and looked at us like the fools we were being. After pushing him some more, he reluctantly pointed at one machine in the corner. He said “I didn’t tell you anything but that one over there is loose.” This apparently is some secret lingo meaning the machine pays out more frequently than the others. We knew this was silly but there are payout percentages that each machine is calibrated to. It’s actually regulated by the states to make sure the machines aren’t too one sided. I doubt this guy actually was privy to this information but it made for some fun. 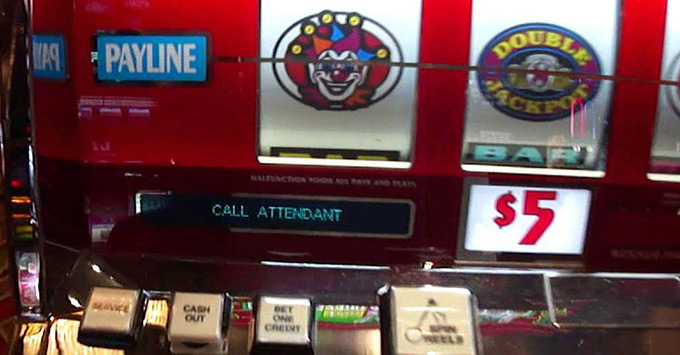 We walked over to the corner he pointed to and found the Lucky 7 machine. The bad news was this was a $5 machine. That meant each coin we put in was $5. That can get expensive quickly. By this time a bunch of our other friends were now huddled around laughing at our master plan. They found it ridiculous that we would listen to this “Hot Tip.” In a way we knew it was but we were looking to have some fun. We decided between the two of us that we would commit $30 to try. If we blew through that we would quit. At least we knew our downside ahead of time. The first coin went in. I pulled the lucky 7 spinner. Dodododododo, lots of pictures and spinning and…. nada. The second coin went in. Again Do0d0od0od0od0od0o, lots of pictures and spinning and…. BOOOOMMM. We hit Lucky 7. Three 7’s in a row came up across the screen. We went nuts. The siren at the top of the slot was blaring and the light was spinning around. It felt like we won the lottery. At that point we weren’t even sure how much we won. Bizarrely no money was coming out. We hit the jackpot. Lucky 7. The manager came over and congratulated us. They were going to have to cut us a check and unfortunately fill out some tax paperwork. We couldn’t believe it. 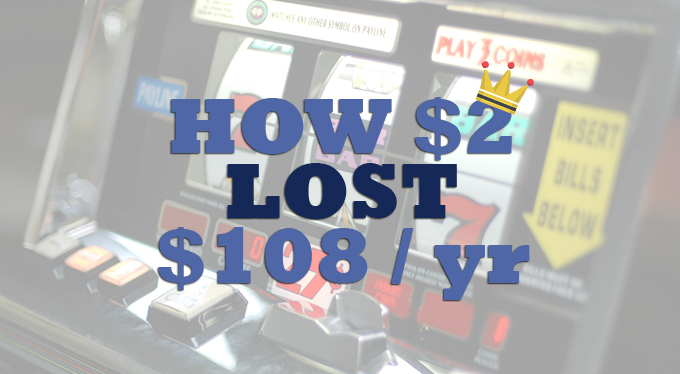 I had never won more than $20 on a slot machine. By this time my secret slot guy had disappeared. I wanted to love the guy. He was gone. He had slipped back into the shadows. Our friends were eating their words. They couldn’t believe it. The tip that the slot boss had given us worked. We had actually hit the jackpot. I bring this story up for a reason. I promise i’m getting to the $2 promotional pricing test we used with our ebook. My point with this story is that you have try new things. If you never try, you will never know. In this case everyone laughed at our stupidity. I guess they were wrong. Partially at least, but the point was made. If I hadn’t tried, Lucky 7 never would have paid. 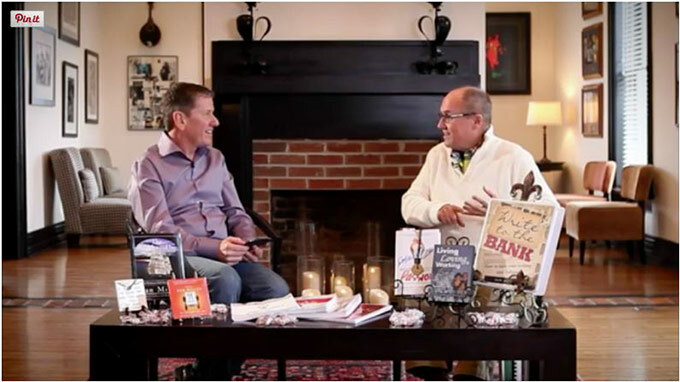 Last week Bob sent me a link to a video from Michael Hyatt about how he built his online empire. The video was mediocre but inspirational for beginners. 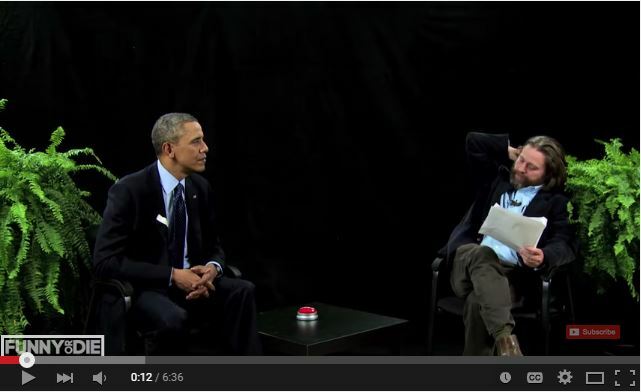 It reminded me of this more entertaining video Between Two Ferns. Definitely worth a watch if you haven’t seen it. Joking aside, there was a little nugget of information that I picked up from Michael Hyatt as he interviewed Dan Miller. It was quick and not related to the topic they were talking about. I stopped right there. What? I had never heard of this before. I have read about a lot of promotional pricing techniques. I know that ending with a 9 is better than rounding up to the next whole number. That isn’t a shocker. Everyone has heard of this promotional pricing trick. But I had never heard of ending in a 7. With lucky number 7 on my mind again, I decided to give it a shot. We were selling our How To Do a BPO book for $29. We had been selling it for a while at that price. It sold at the same rate for the past two years. We never really played with the promotional pricing on this one. We kind of felt it was working, so why touch it. We had implemented a new email funnel and giveaway to entice people to signup to our email list. We did this about a year ago but never touched the pricing. We decided to test with a new price of $27. SIDE NOTE: On our landing page we use LeadPages to make the page where we sell the book. A shocking 22% of people who land on that page opt-in with their email address to get our free giveaway. We then provide free information over a series of emails. Lastly, we ask them to buy our book if they are interested in learning more. No promotional pricing discount or anything fancy. The amazing conversion rate for our email drip we tested on. So 7 it was. I updated the emails and the landing pages. I then changed the price of our book on the shopping cart. Now everything was showing our new promotional pricing of $27. This is down $2 from the original $29. We then waited. Within a couple of hours on that same day we sold a book for the new $27. I jokingly said to Bobby that it worked. Clearly this was too soon to make any judgments on the hypothesis. We only sell about 4 or 5 of this particular book a month. It was just coincidental and too soon to extrapolate anything. We had to wait to see how it played out for real. So here I am two month later with some results to share. This was a complete dud. I reduced the price and there has been absolutely no change in the sales of the book. We essentially have given away $108 for the year. 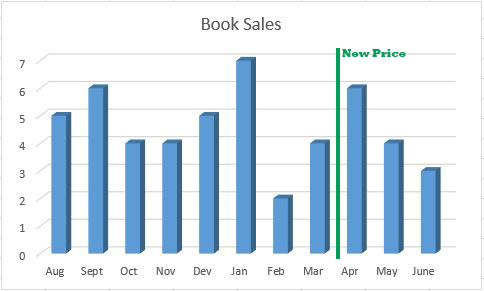 Now I understand selling 4 or 5 books a month is not substantial data. You may argue that its not enough to be able to tell yet. While we only sell 4 or 5 books a month though, we are adding about 3 to 4 people a day to that email drip. Over the last two months that’s about 200 people that have seen the new pricing option. With those numbers, I think its safe to say this promotional pricing experiment didn’t work. So you win some and you lose some. This doesn’t bother me. Part of building successful online businesses is constantly testing. You have to try things to find out what works. Not everything is going to pan out the way you had hoped it to. Part of the reason we started this blog was to share this with you. 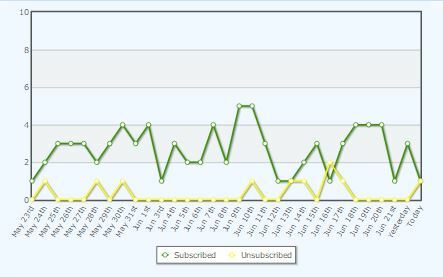 Last week I had a huge win with doubling an email subscription rate. But for this test it was a flop. Later today I will be changing the pricing back to $29 and we will carry on with the next test.